Renovating is hard. Part of the reason renovating is so hard is the sheer number of decisions that need to be made – many of them costly ones. 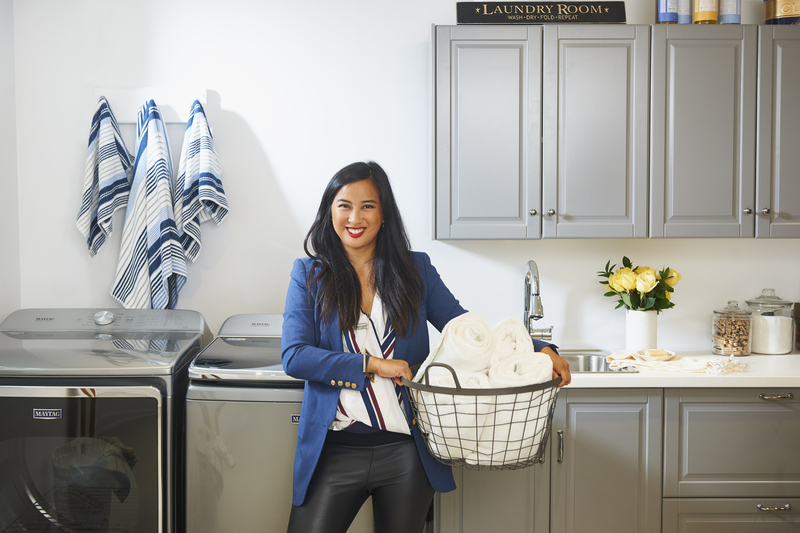 So to help you navigate one part of the decision making process and hopefully make renovating a little easier on you, I have partnered with Maytag to give a little insight into how to pick the best appliances for your family. With almost 6 children (baby #6 is due in January!) my appliances need to be dependable. 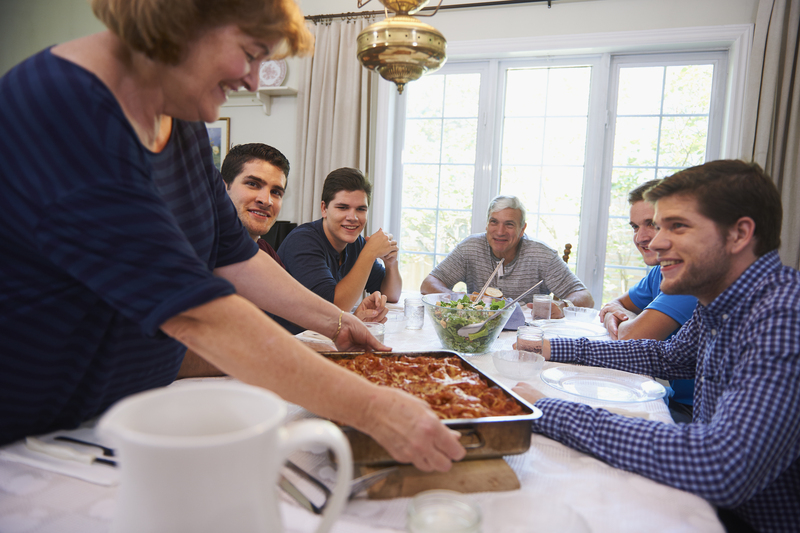 So when Maytag approached me to help another large family depend on Maytag, the Di Fonzo family, – a family with 6 grown sons living at home – I was thrilled. Fun fact: I grew up with the Di Fonzos! So it was even more meaningful for me to work on this project. Rachel and Joe Di Fonzo and their 6 sons! Size is the first thing I would consider when selecting your appliances. Before getting her new extra-large capacity top load washer and extra-large capacity dryer, Rachel was doing laundry every single day. With the increase in size of the appliances (Rachel and Joe owned front load machines before), Rachel has cut her laundry time to every other day due to the increased load size. The extra-large capacity dryer has the space to dry 26 towels at once (!!!) to save precious energy and time. In some cases, where space might be an issue, stackable front loader units might be the best choice for a family. But hands down, the efficiency and time saved an extra-large capacity set will bring a family is pretty incredible. There are a ton of fun features available today with increased technology in appliances- but navigating them can be overwhelming. Look for features that will save you time and make your family's life easier. For example, my favourite feature in Rachel's new dryer is the Steam Refresh, which reduces wrinkles by using a fine mist in the heated dryer drum to refresh clothes with steam as they tumble. This saves time going to the dry cleaner, or standing there with a hand steamer and steaming clothing manually. Another example is Rachel's new fridge from the new fingerprint-resistant stainless steel kitchen line that resists streaks, smears or fingerprints. I have tested this myself personally- and it is pretty impressive how resilient the exterior of the appliances are, saving time cleaning up pesky fingerprints typically associated with stainless steel appliances. Look for the features that will make your life easier, based on your unique needs. 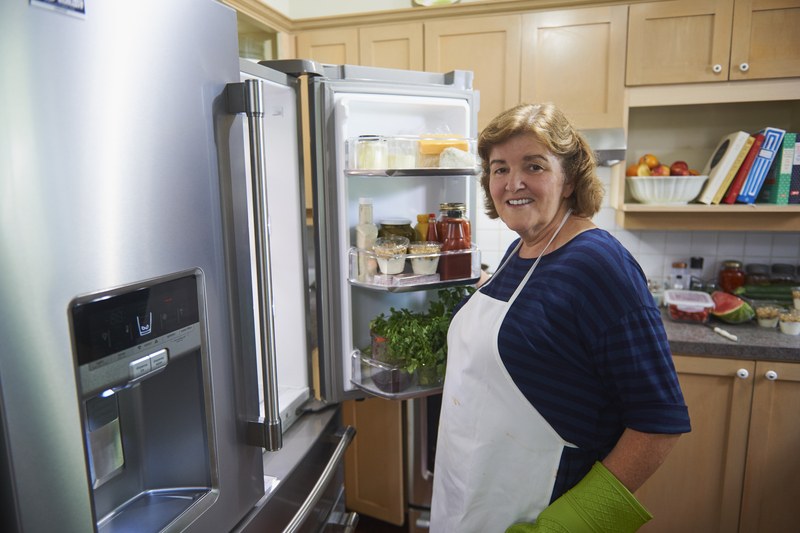 Price is a major factor to consider when selecting your kitchen or laundry room appliances. 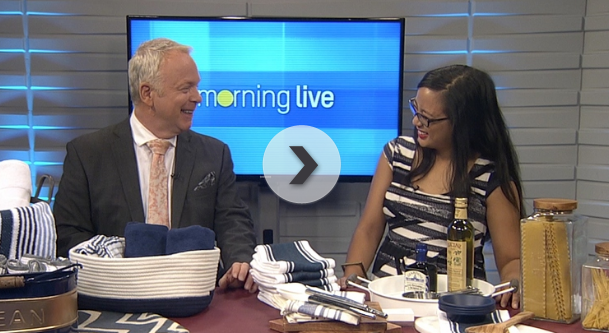 I don't have a formula or percentage of your overall budget that your appliances should take up- but my best advice is to spend as much as your budget will allow on appliances. Appliances are items that will work hard for your family, and do a lot of work for you. And when things do go wrong, look for a company that is willing to stand behind their product with a warranty and efficient service care. 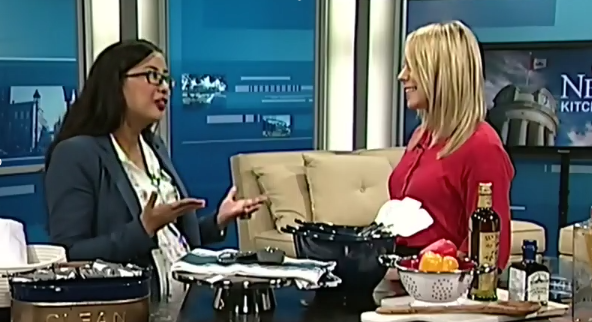 And to learn more about Maytag's brand new product lines and my approach to helping family's thrive at home, check out some recent television interviews I've completed- click on the image to watch the clip. 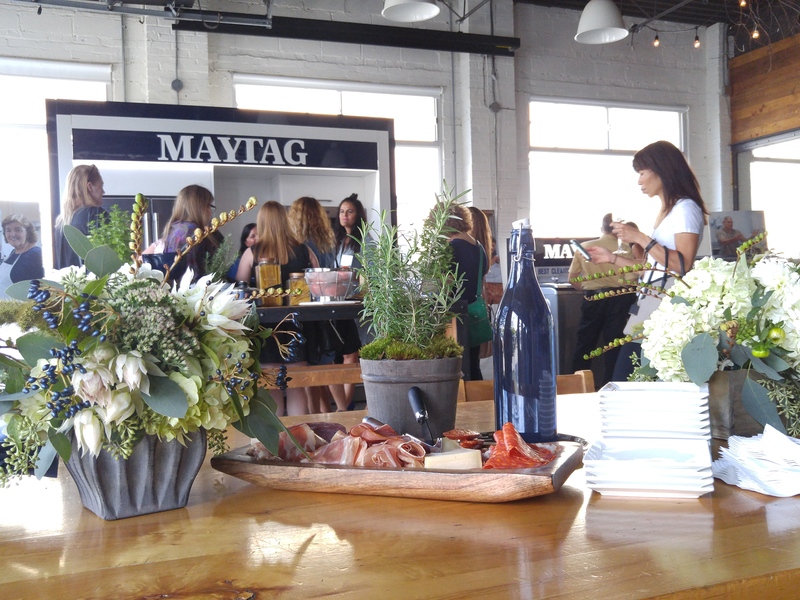 Special thanks to Maytag for partnering with me on this post. Pre-Order My Book, The Possibility Mom!